Squirrels, raccoons and other types of wildlife might be cute to watch scurrying around. However, these animals don’t seem quite as adorable when they take up residence inside your home. Thankfully, our South Carolina pest control professionals know how to deal with these critters safely and effectively. Some SC wildlife species can make themselves a nuisance when they dig or chew through walls or siding to get into homes. Others can damage trees, gardens and other parts of your yard with their digging. 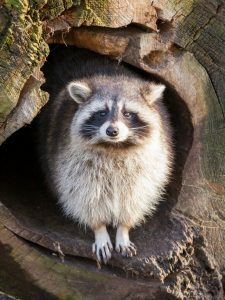 Some common nuisance species you might find in your home include squirrels and raccoons. Wildlife species that might damage your yard or cause problems with your pets include opossums and armadillos. Wildlife species that cause problems for homeowners aren’t just a nuisance. 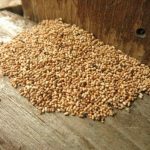 Some can also be a threat to your family and pets. Species that make their nests inside homes can ruin gutters, siding, roofs and other parts of your house. Once they’re inside, they can also spread germs and parasites, including rabies. Species that mainly stay outside, such as opossums, can be a threat to pets if they try to take food. Armadillos can be a public health threat, since they carry leprosy. Getting rid of squirrels, opossums and other nuisance wildlife isn’t something that homeowners in the Hilton Head area should do. 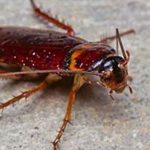 South Carolina pest control experts should be the ones to handle these animals and make sure that they’re removed. At Island Pest Control, our experts have training and skills in dealing with wildlife species. We know how to get them out of homes or off of properties as safely as possible. If you have wildlife causing problems in your home or on your property, give Island Pest Control a call. 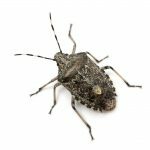 Our South Carolina pest control experts can help remove these critters from your home or property.